Mr. Justice Athar Minallah in his judgment has decided issue regarding release and handover of Wing Commander V. Abhinandan to India in Writ Petition No. 786 of 2019. 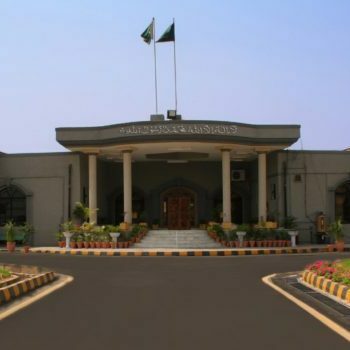 The petitioner has invoked the jurisdiction of this Court under Article 199 of the Constitution of the Islamic Republic of Pakistan, 1973 (hereinafter referred to as the ‘Constitution’) aggrieved from the decision taken by the Government of Pakistan to release and handover Wing Commander V. Abhinandan to India. 2. The petitioner has appeared in person and has been heard at length. It is his case that the Prime Minister of Pakistan was not competent to take a decision regarding release of the pilot of the Indian Air Force, namely, Wing Commander V. Abhinandan who was detained after his aircraft was shot down. He has argued that the latter had violated the sovereignty of Pakistan by unauthorizedly entering into its territory and that it was an act of war; the Parliament was not taken into confidence; the decision has been taken by ignoring the aspirations of the people of Pakistan; the detained pilot of the Indian Air Force is liable to be proceeded against and court martialed in Pakistan. 3. The learned Counsel was asked as on what basis does he assert that the Parliament was not taken into confidence because the announcement was made by the Prime Minister of Pakistan on the floor of the House and that too during a joint session of the Majlis-e-Shoora (Parliament). 4. The learned Counsel has been heard and the record perused with his able assistance. 5. It is an admitted fact that the Prime Minister of Pakistan had announced the release of the detained pilot of the Indian Air Force, namely, Wing Commander V. Abhinandan on the floor of the House and that too during the joint session of the Majlis-e-Shoora (Parliament). It is also not denied that not a single Member of the National Assembly or the Senate had raised any objection when the announcement was made. The joint session of the Majlis-e-Shoora (Parliament) was held to deliberate upon the current tense situation at the borders. It was during the said joint session of the Majlis-e-Shoora (Parliament) that the announcement was made by the Prime Minister and affirmed by other Members. The petitioner’s argument that the Prime Minister of Pakistan was not competent or that the Majlis-e-Shoora (Parliament) was not taken into confidence is, therefore, misconceived. The Majlis-e-Shoora (Parliament) represents every citizen of the Islamic Republic of Pakistan. Moreover, the patriotism of the Members of the Majlis-e-Shoora (Parliament) is beyond doubt and, therefore, apprehensions of the petitioner in this regard are misplaced and not warranted. 6. It is noted that the decision which was taken by the Prime Minister of Pakistan and announced on the floor of the House during the joint session of the Majlis-e-Shoora (Parliament) pertains to matters of foreign policy, defence and security of Pakistan. It is settled law that such issues are neither justiciable nor fall within the domain of a High Court for interference under Article 199 of the Constitution. It has been unambiguously held by the august Supreme Court that any such interference by the Courts would be violative of one of the foundational principles of the Constitution, which envisages trichotomy of powers between the three branches, namely, Legislature, Executive and Judiciary. Reliance is placed on the cases of ‘Wukala Mahaz Barai Tahafaz Dastoor v. Federation of Pakistan and another’ [2014 SCMR 111] and ‘Syed Yousaf Raza Gillani, Prime Minister of Pakistan v. Assistant Registrar, Supreme Court of Pakistan and another’ [PLD 2012 SC 466]. Moreover, it has been held that the Constitution is based on the principles of trichotomy of powers between Legislature, Executive and Judiciary. Framing of a policy is within the exclusive domain of the Executive because the latter is in a better position in this regard because of the mandate, experience, wisdom and sagacity. The Legislature represents the people of Pakistan and primarily promulgates laws which are enforced in Pakistan. The Judiciary is entrusted with the task of interpreting the law and to play the role of an arbiter in case of disputes between individuals and between individuals and the State. It is on the basis of this rationale that Courts exercise judicial restraint in policy matters except in cases where it can be explicitly demonstrated that because of the policy, fundamental rights are being violated. Reliance is placed on the cases of ‘OGRA through Secretary v. Messrs Midway II, CNG Station and others’ [2014 SCMR 220], ‘Mesrs Power Construction Corporation of China Ltd. through Authrized Representative v. Pakistan Water and Power Development Authority through Chairman WAPDA and 2 others’ [PLD 2017 SC 83] and ‘Mehmood Khan Achakzai and others v. Federation of Pakistan and others’ [PLD 1997 SC 426]. 7. The petitioner was asked whether any of his fundamental rights would be violated if the decision taken by the Prime Minister and announced on the floor of the House is implemented. The petitioner, despite his able assistance, could not satisfy this Court that his fundamental rights would be violated if the detained pilot of the Indian Air Force is handed over to the authorities of his State. The decisions which are taken by the Majlis-e-Shoora (Parliament), particularly during challenging times, are inevitably required to be respected and upheld. Even otherwise Majlis-e-Shoora (Parliament) is competent to affirm policies of the Government and after such affirmation, they cannot be subjected to judicial review. It is the Majlis-e-Shoora (Parliament) alone which represents the will of the people of Pakistan and the other organs of the State are expected to respect and bow to its decisions. In the instant case the announcement made by the Prime Minister of Pakistan was affirmed by the Majlis-e-Shoora (Parliament) in its joint session. Moreover, the decision pertains to policy matters in the context of foreign policy, defence and security of Pakistan and thus outside the realm of judicial review. This entry was posted in Case Laws, Constitutional Law, Fundamental Rights, Islamabad High Court, Judicial Review, Knowledge - Constitutional Law, Litigation & Arbitration, Parliament, Policy Decision, Solutions - Constitutional Law, Trichotomy of Powers. Bookmark the permalink.